Teaching & Academy :: Hindhead Golf Club is set in one of the most glorious natural settings and ranks amongst the best of Britain’s heathland courses. The PGA qualified professionals at Hindhead offer a range of teaching lessons and clinics to suit all abilities from juniors and new members through to scratch players and professionals. Individual coaching, clinics and our 'Academy Plan for Success' programme are available to members and visitors. Tuition includes long and short game, video analysis and email feedback. The 'Plan for Success' programme is designed for golfers of all abilities who want to develop their game in a planned and consistent way. It involves an initial meeting to identify your objectives, a six-hole playing review of your game, assessment of your strengths and weaknesses, followed by six monthly lessons. Tuition is tailored to focus on the areas on which you need to improve, and involves regular review, practice drills to work on between lessons and, where appropriate, emailed images of your swing using V1 technology. Many golfers have a lesson and then don't come back for another until something goes wrong. We believe that working steadily towards a golfing objective, with regular tuition, feedback and practice, will ensure a greater level of success and enjoyment from this great game. We are so confident of your seeing lower scores from improved techniques, knowledge and performance that we offer a money back guarantee to any member not 100% satisfied. "How will I remember everything I've learned?" 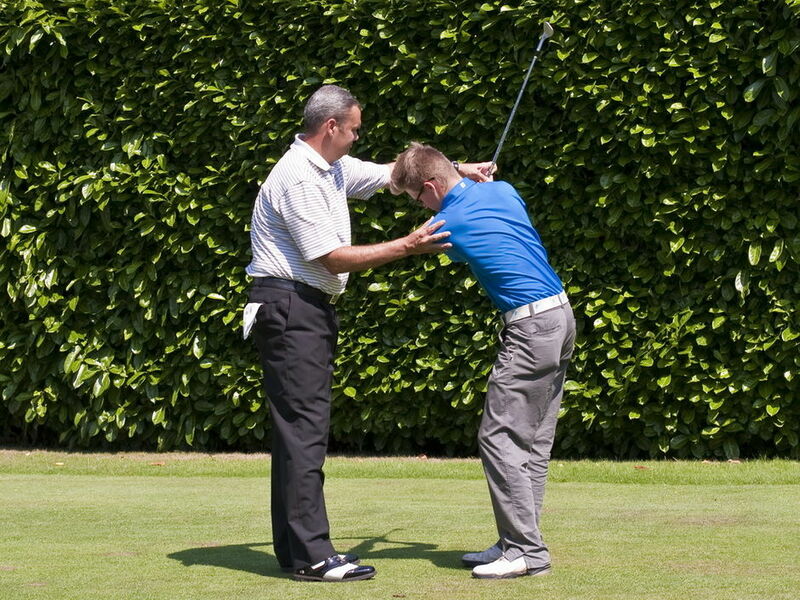 You will receive your instructor's notes and images of your swing by email. "What if I want more lessons?" You can book additional lessons during the programme at a discounted rate. "What if I need to cancel or change a lesson?" Simply contact the Pro Shop giving a minimum of 24 hours’ notice. We can provide group clinics for members and visiting groups and societies. Please contact the Pro Shop for more details. We run regular clinics for the ladies section and during the summer months we run junior group coaching for various age groups. For information on junior golf please call the Pro Shop.